From an early age, Chetley knew he was destined to create. 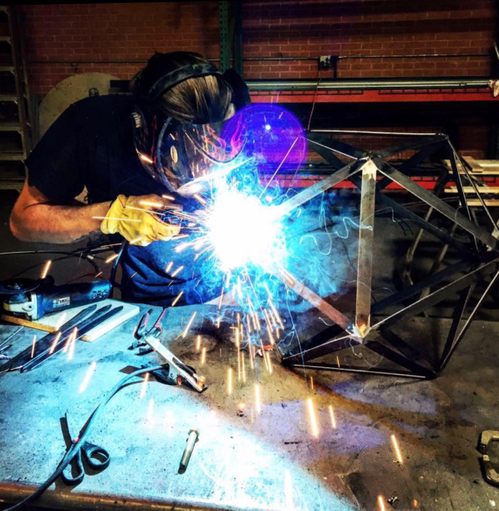 He naturally gravitated towards art and architecture in his teen years, starting his first fabrication job in Dallas in 2010. While creating props & displays for the Gaylord Texan, he discovered that he had a knack for transforming blueprints into tangible, real-life works of art. From there, he went on to nurture & grow his talents while working at various other fabrication companies. Each position he held allowed him to acquire new skills and experience in numerous building mediums. From wood to metal to acrylic, Chet views each project as a new opportunity for him to grow professionally and sees challenges as an avenue to accumulate additional knowledge.